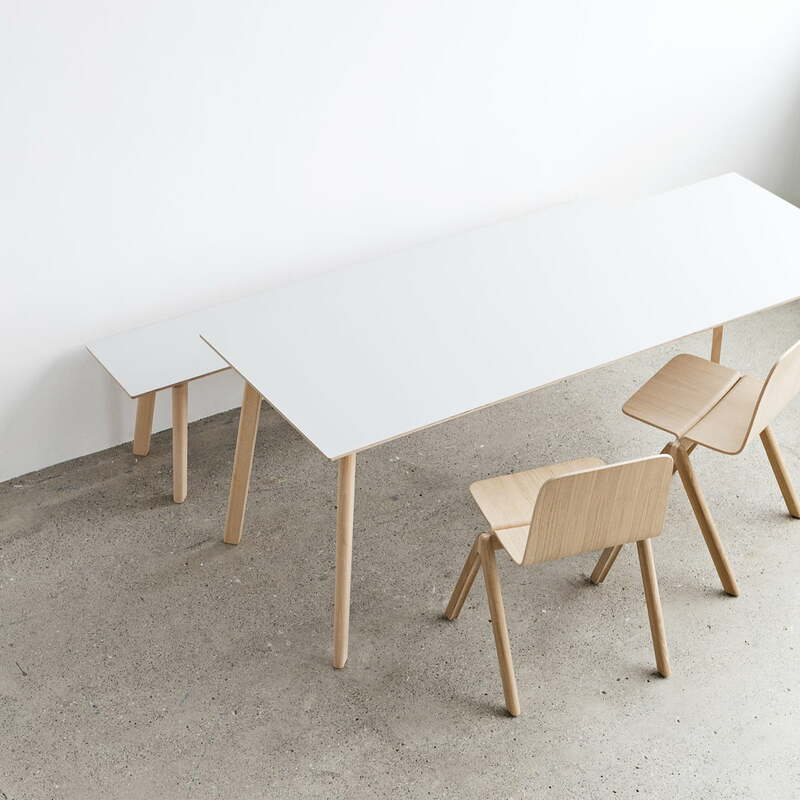 The Copenhague CPH Deux 210 dining table was designed by designer brothers Ronan and Erwan Bouroullec. 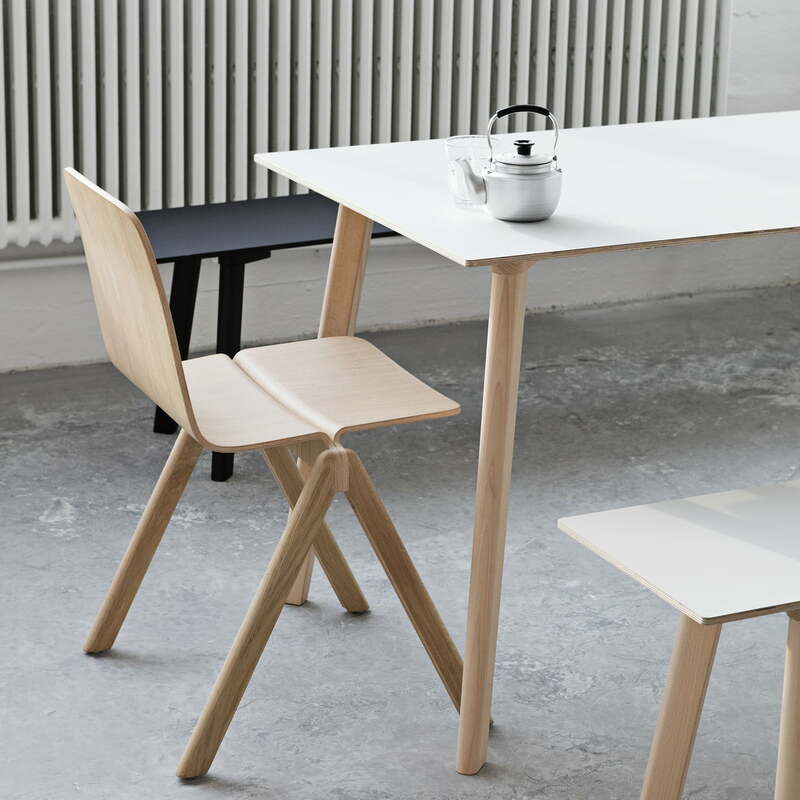 In 2012, they both got the order from the Danish manufacturer Hay to design a furniture collection for the well-known University of Copenhagen. 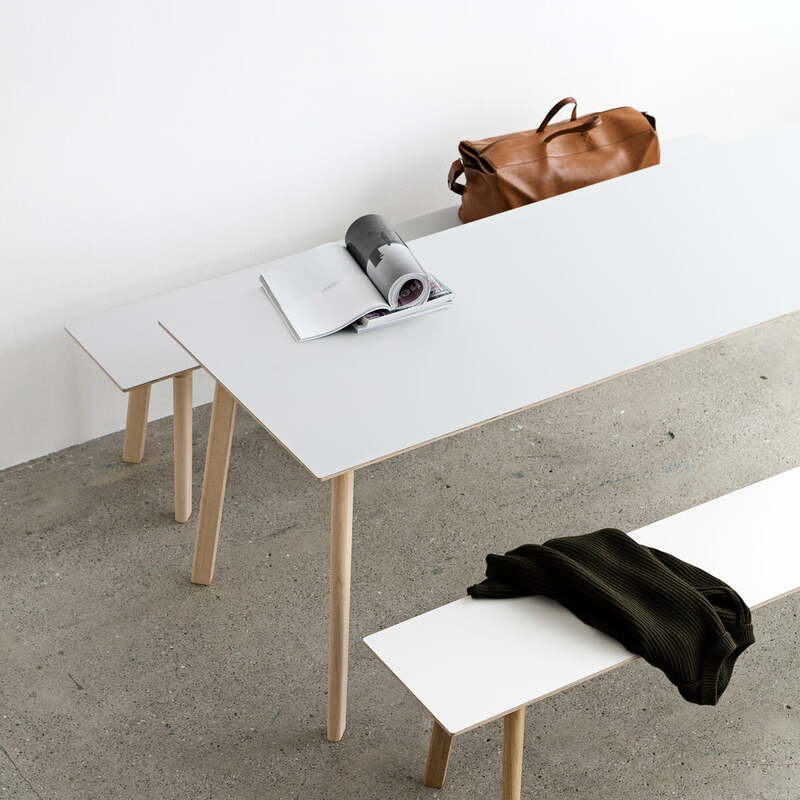 They created numerous design pieces that score in terms of functionality and simplicity. Due to their homely character, the parts are however also ideal for use in the private home. 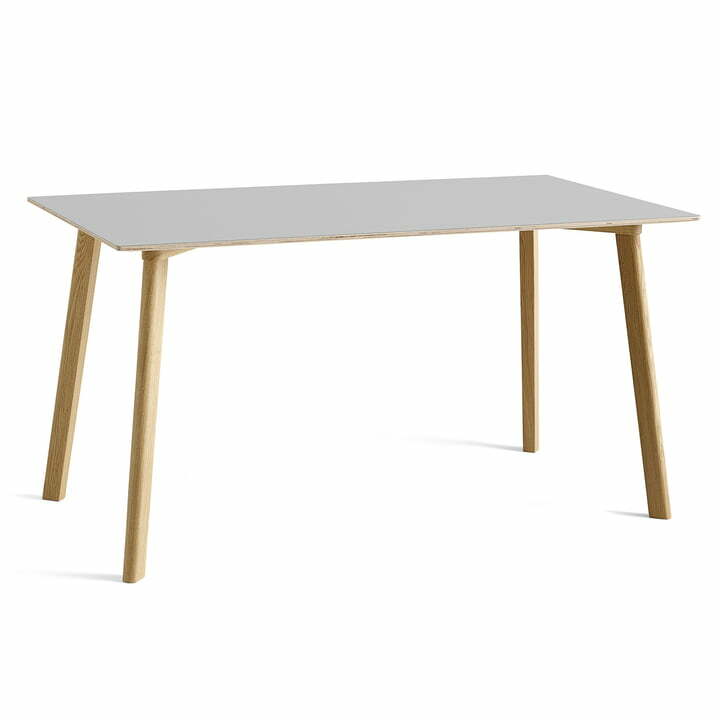 Minimalism lovers will immediately fall in love with the dining table Copenhague CPH Deux 210, because form language and choice of materials reflect the Scandinavian design here only too well. The special feature of the 140 x 75 cm-large table is in the surface structure. While the legs are made of wood, Hay took advantage of the latest nanotechnology for the table top. A special type of laminate creates an extremely matte soft-touch surface, which is on the one hand easy clean and on the other hand prevents ugly fingerprints. The table is available in different colours and sizes.